Are you often exhausted as a parent? Do you regularly feel drained, overwhelmed and off-balance when it comes to raising your kids? It’s hard for every parent, but when your children have tough behavioral problems, like ADHD, frequent defiance or other chronic acting-out behaviors, the task of raising them to adulthood can sometimes feel like you’re climbing a mountain without adequate supplies or the right equipment. This week, Erin Schlicher, a mom and parent coaching advisor for the Total Transformation Program, gives you some concrete advice on how to juice up your parental batteries and get back on firmer ground. Whether the calls come in late in the evening, first thing in the morning, or somewhere in between, a common element I hear from parents—and particularly mothers—who call parent coaching is that they are feeling utterly worn out. Given that parenting even an average or “easy” child is hard work, parenting a more challenging or acting-out child is enough to run anyone ragged. Since it is not always a readily available option to have someone else help with childcare, many parents rely on other methods of support. 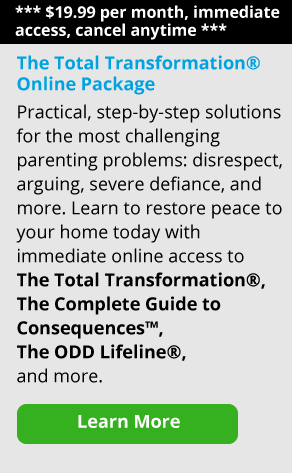 Online communities like Empowering Parents, as well as social networking sites, are a lifeline to a growing number of parents who may otherwise find themselves somewhat isolated. Advising parents who contact the parent coaching line has been a distinct privilege, as I have been able to lend a kind ear to folks all over the country and beyond. Having supports in place positively impacts the whole family. 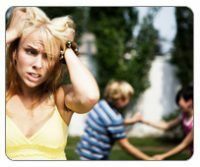 When someone calls the parent coaching line and shares an extensive list of problems they are having with their child in rapid-fire style, finding the right moment to inquire about what is going well for them can do wonders to soften their stance. When people are discouraged and tired, it is difficult to see the positive. In those trying times, practice reminding yourself of some of the areas in which your child excels or is making progress. Acknowledging small successes and building off of strengths are the steppingstones to scaling mountains. Do not forget the power of praise and recognition!